‘Fantastic Beasts’ is just a DAY away! * THIS IS NOT A DRILL! In conjunction with the movie release, I put together a short tutorial on how to make your own Fantastic Beasts And Where To Find Them secret box to keep all your fantastic beasts in. I was initially going to use some green paint that I already had on hand and an artist brush to paint the inside edges of my box to give it a more finished look. I ended up liking how it turned out without doing this, so I skipped this step. 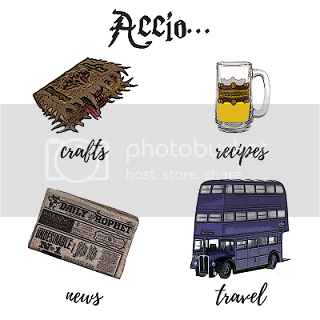 Fill your secret box with fantastic beasts or any other wizard supplies you need to disguise and you’re ready to be your own version of Newt Scamander! We’re so excited to see Fantastic Beasts And Where to Find Them! Will you be going to see it opening weekend? If so, tag us! We’d love to experience it with you! *Official release date is Friday, November 18th, but many theaters are showing the movie on the 17th. Can you share your book cover and spine images? I can not find suitable ones online. I updated the post to include the images I used. ‘Fantastic Beasts’ can be found in red & green, but being a Slytherin, I prefer the green. 🙂 The image I found had a lot of “real world” information on the back (Scholastic logo & a few other things) that I Photoshopped out. The spine I created myself so it might not be 100% accurate. Enjoy & be sure to tag us if you make your own! Thanks! I will share a photo when we are done!